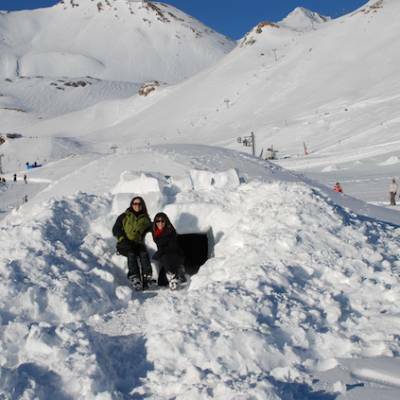 Our igloo village is located In the Southern French Alps, up at 2300 meters of altitude on the Rocherousse plateau in the Orcières 1850 ski resort! 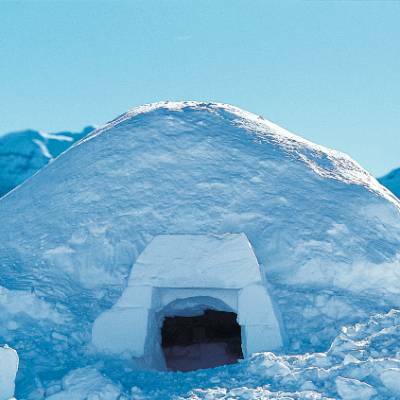 The igloos are houses made of snow built using Eskimo technique and adapted to the alpine climate and snow conditions! 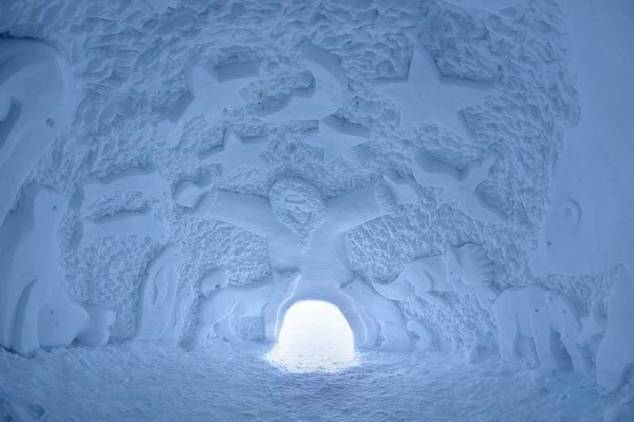 A large dome of snow is built and then literally dug out by hand with a spade to create a hollow space inside. 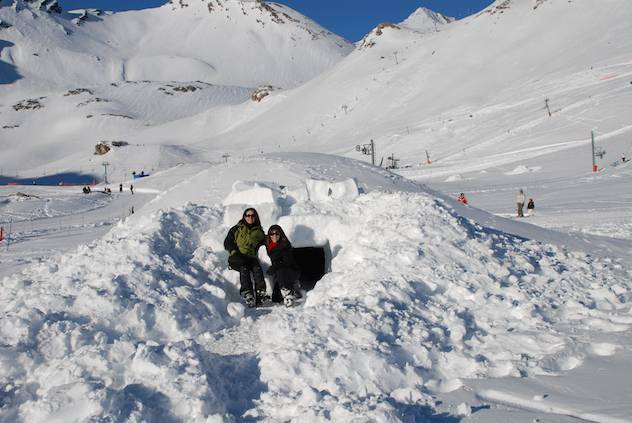 There is a sleeping platform, which is higher than the entrance tunnel to make the most of the warmer air rising for comfortable sleeping conditions. 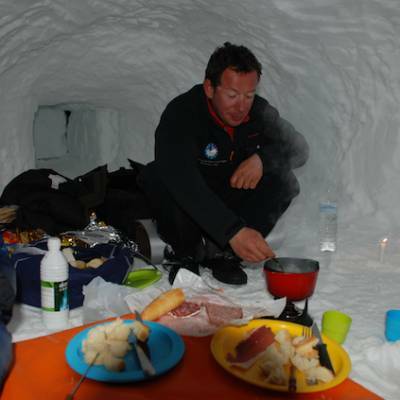 In the walls are little shelves for candles and some igloo builders get creative with ice carvings on the walls! 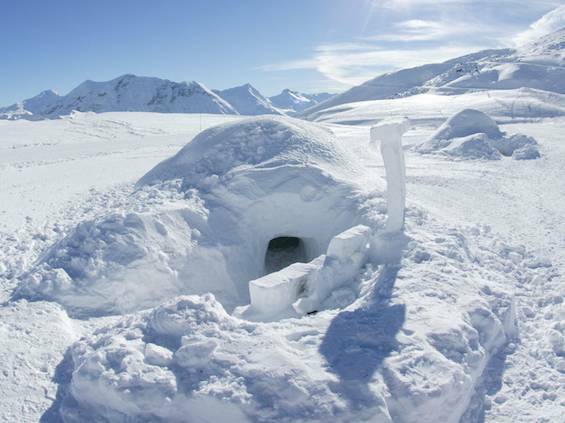 In the igloo village, there are five or six igloos, each sleeping 4 to 5 people - they are really nice and cosy little places! 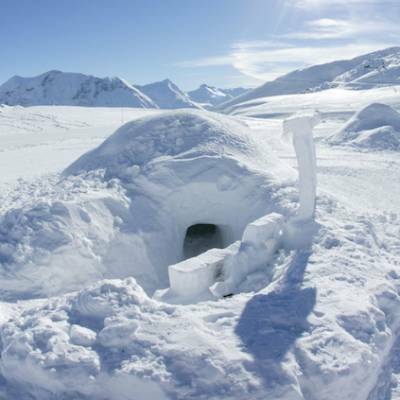 They are equipped with special insulated mattresses with warm sleeping bags suitable for the cold night time temperatures. 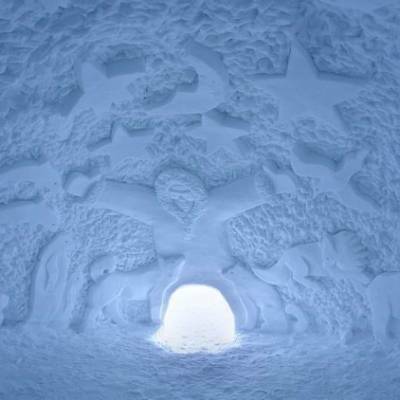 They are lit with candles inside, which against the snow create a rather unique and quite romantic atmosphere! 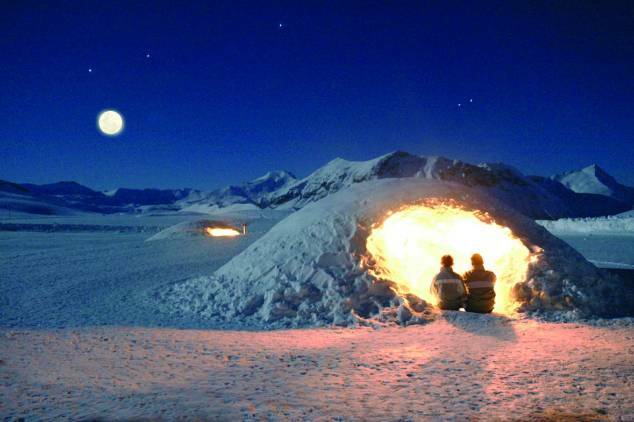 What happens during the Night in an Igloo? 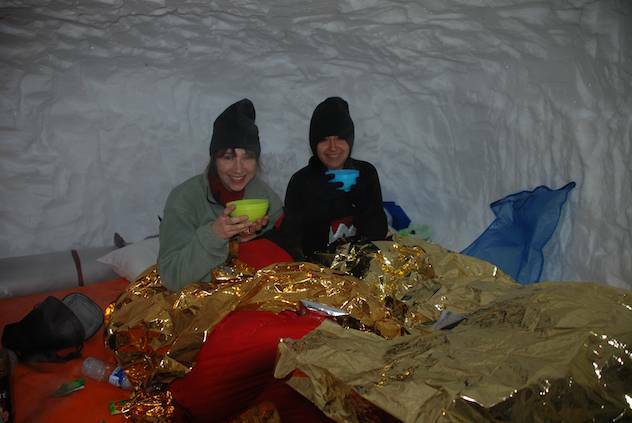 Journalist Jo Kessel braved the cold for a night with her sister. Read her report in the Independent Newspaper! 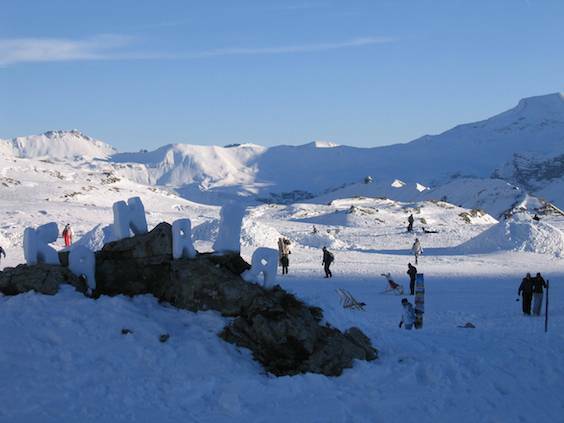 The night in the igloo village unfolds as follows: after catching the last lift up to the Rocherousse plateau, you will watch all the skiers ski off the mountain, leaving you in the peace and quiet! 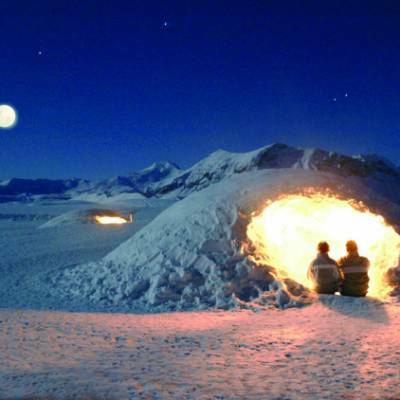 Then you will go for a short easy walk around the igloo village with your guide to watch the sun set and look at the stars, which is a magnificent spectacle, made all the more special by having it all to yourselves! 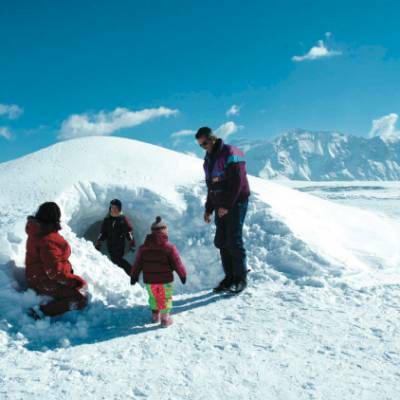 After your walk, you will go to the cabin or chalet restaurant where you will eat dinner before going to your igloos to sleep. 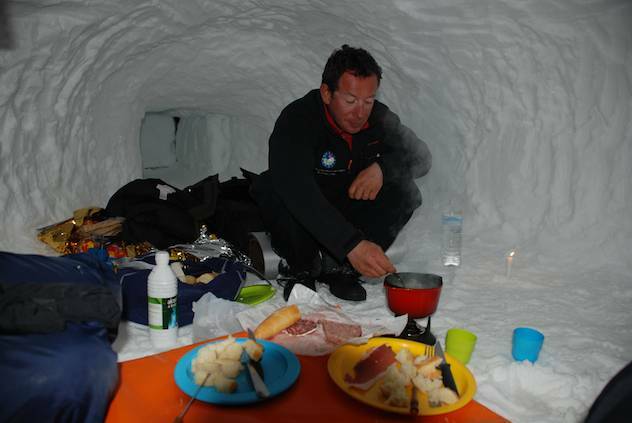 Alternatively, you and your guide will cook in the igloos and eat there! Dinner is usually a sociable dish, like a cheese fondue, and vegetarians can be catered for. 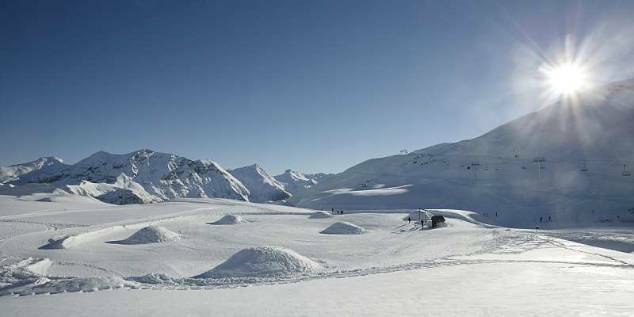 Alcohol is not allowed due to the high altitude. 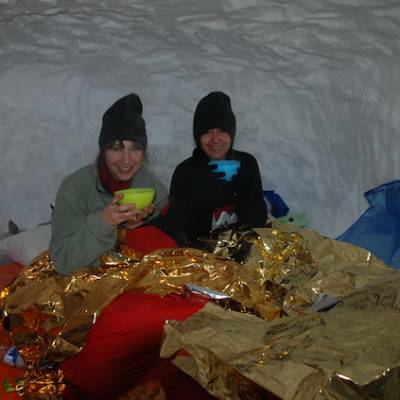 After dinner, you will go to the igloos, snuggle up in your sleeping bags and go to bed! 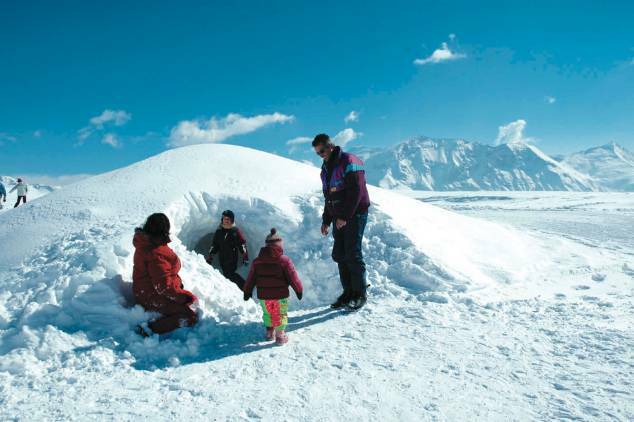 There are toilets accessible throughout the night a short walk away from the igloos but you will need a head torch to navigate your way there in the dark. 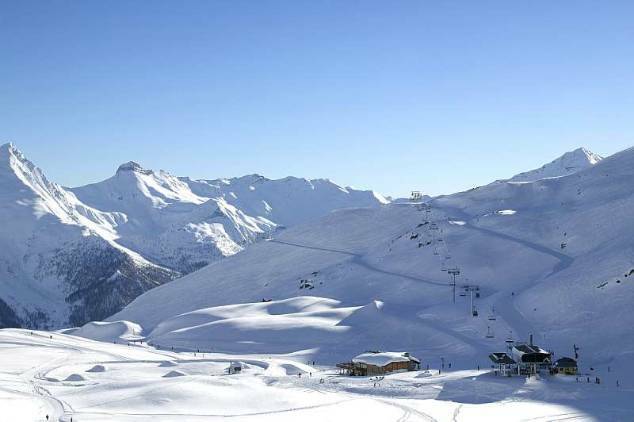 Please note that this activity can only be organised from late January to early March! 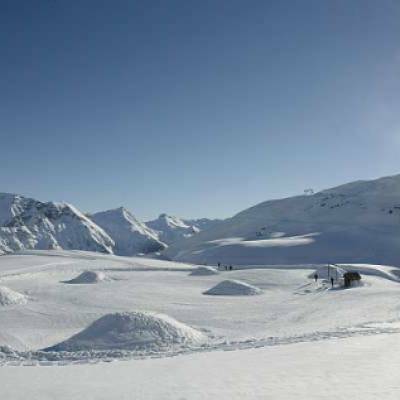 Brave the cold for a unique, one off experience under the stars and above the Alps! The minimum age for this activity is 8. 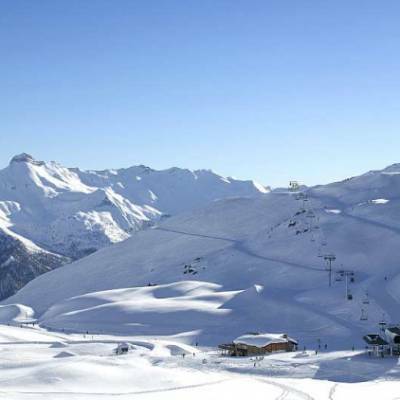 No experience is needed - just a sense of adventure! 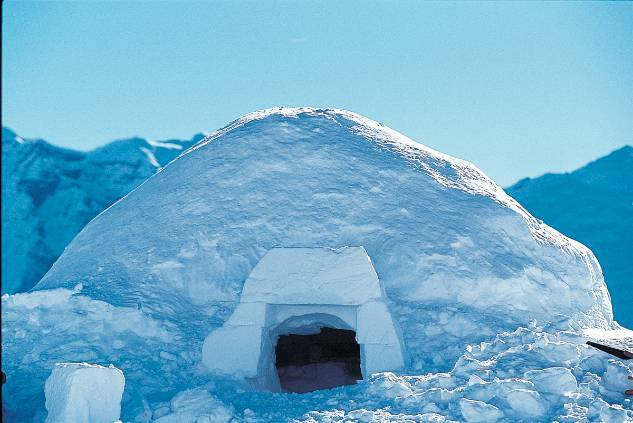 The igloos are quite narrow and cosy so it is probably best to avoid this activity if you are claustrophobic. 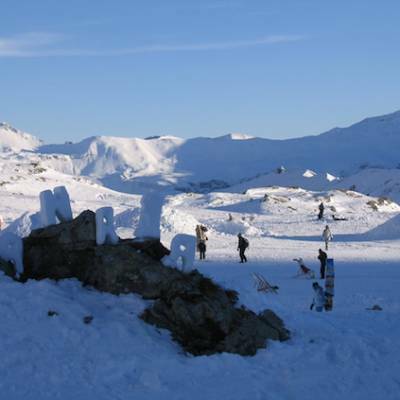 Please note that this activity is only organised from late January to early March!